I recently ended up with an extra bottle of Sierra Mist soda from another science project we were doing. Our family doesn’t drink soda, so I was at a loss for what to do with the bottle. Then I realized we could use the carbonated beverage to turn some ordinary beans into magic beans! 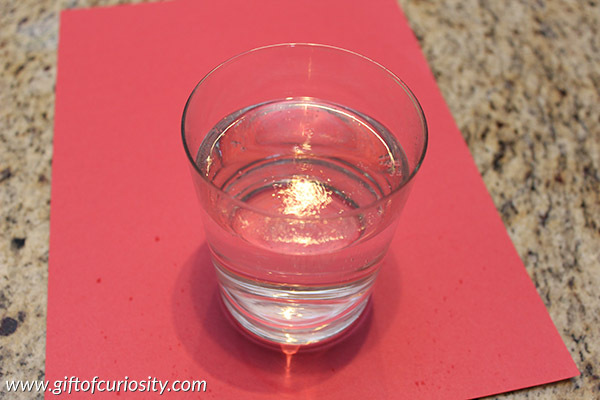 Note: Find more science experiments on my Science Activities for Kids page! To make magic beans, start by grabbing some ordinary beans. They need to be dry beans, not cooked or canned beans. 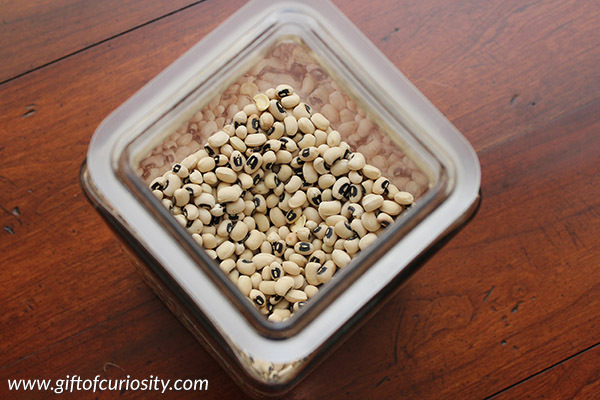 I grabbed some black eyed peas from our pantry. I filled the glass most of the way with our clear, carbonated beverage. Then I dumped a small handful of beans into the glass. Watch this 16 second video to see our magic beans in action! The carbonation in the liquid makes the beans float to the surface of the glass and then come back down, over and over again. Just like magic! So how and why does this work? Carbonated beverages are filled with a dissolved gas called carbon dioxide. At the bottling factory, the dissolved gas is sealed into the drink when the lid is put on. When you open the bottle, the gas starts to come out of the spaces between the molecules of liquid. When it does this, it forms little bubbles. These bubbles accumulate on the beans until the combined density of the beans and gas is less than the density of the soda. This makes the beans float to the surface as any object does when it is less dense than the liquid it has been submerged in. However, when the beans reach the surface, the bubbles pop. 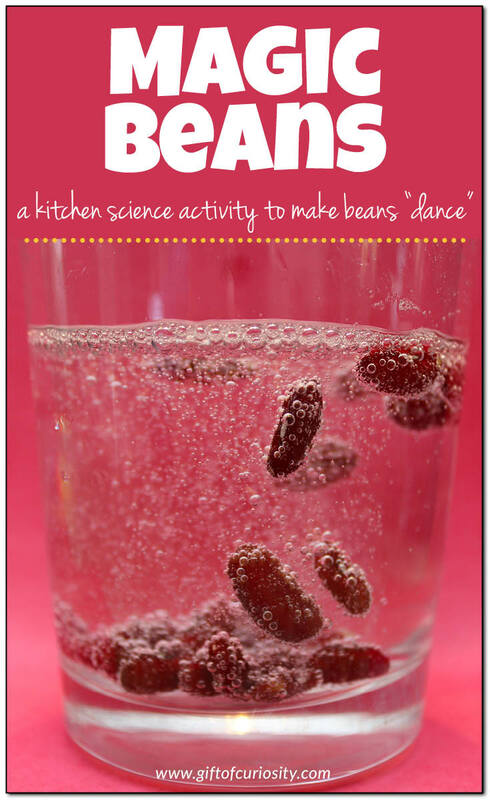 Once a bean is no longer covered in gas bubbles, it is more dense than the soda and it sinks back down to the bottom. Once at the bottom, the bean accumulates gas bubbles again until it rises to the surface once more. Like our magic beans? See our dancing raisins as well! Don’t have time to gather materials? Want to make science super easy? 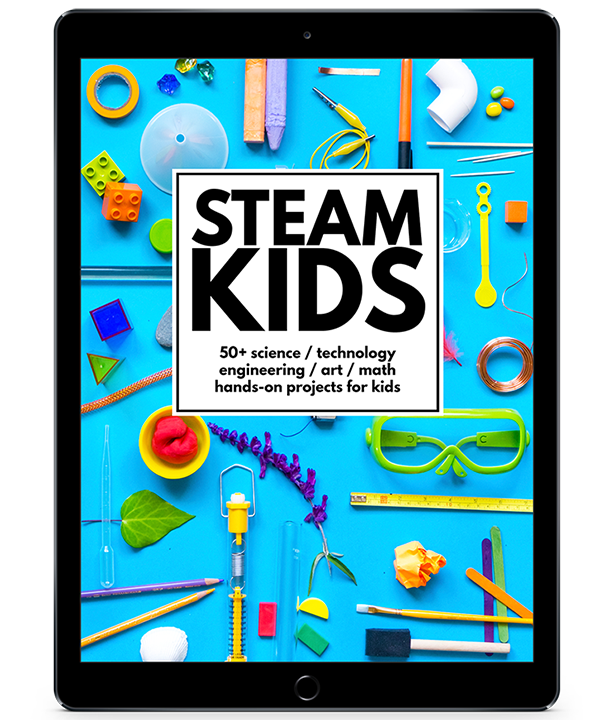 Check out these monthly subscription services that will send science and creativity kits to your door! Find more great science activities on my Science Activities for Kids page and my Science Activities Pinterest board. Follow Gift of Curiosity’s board Science on Pinterest. 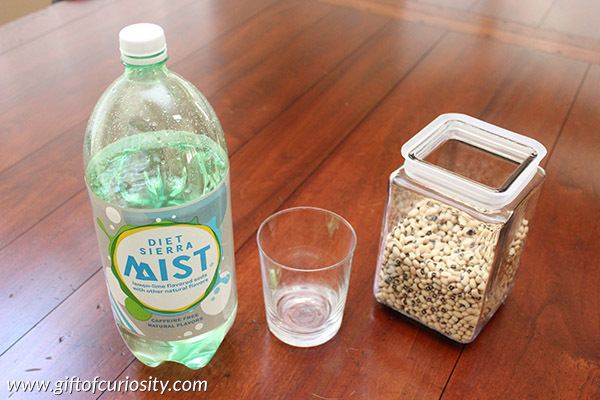 My students and I have tried this experiment with pinto beans and Sprite or a Dollar Store brand of lemon lime soda. We cannot get the beans to jump like in your video. Any suggestions? Gosh I’m not sure what the issue might be? Were the beans dry (uncooked)? And did the soda still have plenty of carbonation left? Yes, they were dry beans and we used soda that had not been opened. The best we can get is one or two beans floating to the top and then coming back down. I noticed that the Sierra Mist was diet and we were wondering if maybe diet soda has more carbonation. We are going to try that. In general, diet soda is less dense than regular soda (because of the sugar content in regular soda). So diet vs. regular soda might make a difference as well, although I would expect that difference to mean that the beans would float up more easily in regular soda than in diet soda.